Markham is a beautiful city, and Unionville is one of the most beautiful neighbourhoods in that city. Master Mechanic Markville is proud to be a part of this community. Every Master Mechanic shop is owned and operated by independent business owners who know their community, and when it comes to auto repair in Markville, you’ll be visiting Joe Chiaponni’s, Master Mechanic. Here are some ways that Joe and his team provide unique auto repair to Markville. Last December, we published an article about Master Mechanic Markville’s annual toy drive. We’re very proud of the success of the annual drive and the Markville team’s enthusiasm in organizing it. Our community is important to us. Let us know if you have a community event that you need sponsoring or help with! If you look through some of our reviews and testimonials, you’ll see that Joe has built a reputation for taking the time to explain the specifics of auto issues to car owners. Keeping owners informed is key to providing exceptional auto repair in Markville, which empowers car owners to make informed decisions about their vehicles. 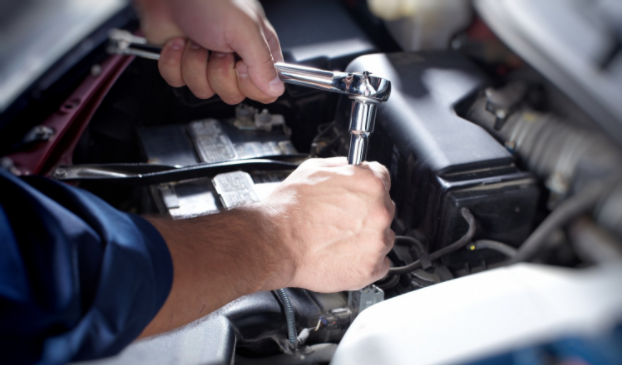 Another way we provide quality auto repair in Markville is preventative maintenance. If you’re buying a new car then you have the opportunity to get your vehicle maintenance routine started on the right foot. At Master Mechanic Markville, you can get pre-purchase inspections performed on your “new used” so you can verify its overall condition before you buy. Also, you can help protect the environment by getting an emissions test done at our facility to ensure your new used vehicle conforms to government standards. If you need auto repair in Markville for a commercial fleet then Master Mechanic Markville accepts fleet repair cards. You can call Joe for more details. Building a personal relationship with your auto repair provider can give you peace of mind. So you can be certain that you are getting carefully performed work at a fair price. We have one more tip for how to get the best auto repair in Markville: be informed. We mentioned earlier that Joe takes the time to explain mechanical issues in detail, but knowledge does more than just help you make one specific decision. An informed car owner can more clearly articulate issues, and knows when there might be a problem with their vehicle. Simply, an informed car owner can become a partner to their mechanic. It’s much easier for everyone if you can work together to keep your car running smoothly, safely, and efficiently. Joe and his team are known for going the extra mile to provide outstanding auto repairs in Markville. He does a great job of carrying out Master Mechanic’s mission. What sets our repairs apart is the commitment to personal repair. Our goal is that every Master Mechanic location will feel like your local shop while being an important part of your community! < Maintenance & Repair Costs: Which Automotive Brand is The Least Expensive?